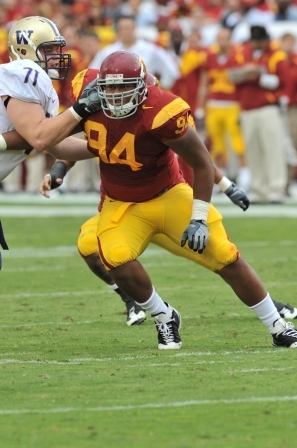 After being admitted to USC University Hospital March 3 for an undisclosed illness, senior defensive end Armond Armstead was released from the hospital on Tuesday, according to a release issued by the school. He will not, however, participate in the team’s offseason conditioning workouts until the results from his tests are made known. Armstead, who finished with 43 tackles and three sacks last season, will begin attending class this week. “I feel good, my spirits are up,” Armstead said, “I’m ready to go back to class. USC begins spring practice March 22.